Boko Haram Biggest Issue For Africa Since The Colonial Divide. Boko Haram The broader Notion ! Africa's economic growth is both decisive for the world as well cause for class conflicts between rich and poor. Its poverty, bad living conditions and a lack of proper education are traditionally eco systems where religious extremism is a fast growing element. Africa is key continent for Al Qaeda's global strategy. Say what you want but In the past decades and even today the "movement" Al Qaeda continuously delivers what its Brand name promises, fertile ground and basis. As part of that promise it also expanded its basis in non-Arab African countries through a (NGO funded) network of new and refurbished Islamic settlements. 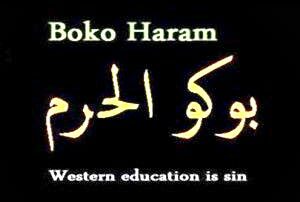 Also Boko Haram is not just a local insurgency but a movement with a strong Brand name that promises to fight the sin of non-Islamic education. A much broader notion, easy to identify with and potentially inspiring Muslims across the globe. Humint intelligence operations code name “Deep Cycle” have revealed that In 2005 Grand strategies for the Caliphate in non-Arab Asia and Africa were floated in the slipstream of Islamic extremism. And during secret meetings between 2007 and 2009 with several Somali and Sudanese imams of Al-Furqan Mosques in Europe, Nigeria was selected to spearhead the ambitious plans of Al Qaeda that eventually will be recognized a root cause for re-dividing Africa. A small team of experienced professionals was assembled to enable a movement and program a strong doctrine for its Brand organisation. Creating the most advanced, well prepared, disciplined and solid financed terror organisation in 50 Years. When in 2009 the old Boko Haram of Mohammed Yusuf was annexed and purged, it befitted Al Qaeda's new policy "Think Global Act Local" and went fast forward with Phase I of the GSI doctrine; establishing fear and presence by random killings. Next to, independent transnational crime - service providers (Funding, training, supplies, intelligence, mercenaries) and Boko Haram's local mid-level leadership which includes Abubakar Shekau, there are unsuspecting groups of people who are recruited or flock to the "ideals" of the movement. These people, or scapegoats rather, are the ones that decide to join launching attacks. They are the ones who are eventually caught, leaving the real and more skilled/intelligent professionals in the dark behind the Al Qaeda shadow were crime becomes ideology! Between 2009 and 2011 Boko Haram encountered some problems with discipline, criminal recruits, successful Nigerian counter intelligence and attempts to politicise its goals through media, copy cats and offshoots that deviated from its doctrine. These problems were solved by improved vetting, introduction of mercenaries, limiting access to the mid-level leadership and enabling fast and undeniable media releases to counter misrepresentation or claim incidents within 72 hours. Nigerians simply believed that Boko Haram was part of another Nigerian power play for politics and money, that would as usual be negotiated or corrupted and paid to go away. The possibility, that peaceful fellow countrymen in the North could be enticed to become real terrorist on a seemingly unattainable mission, was dismissed and daily attacks or the ludicrous idea of a Nigerian becoming suicide bomber was referred to the madhouse. Meanwhile the new Boko Haram achieved unhindered phase I and II of its Doctrine. And with its increasing flow of attacks, anytime anywhere, it pushed Nigeria to the brink, without encountering any significant opposition. Even though Nigeria was alerted, a lack of intelligence and (public) awareness led to seriously underestimate the threat of Boko Haram. Until today the Government has no clue about who, what and where Boko Haram is and it desperately tries to downplay the clear and present danger of Boko Haram. Counter terrorism requires a holistic approach. Building that capacity for Nigeria will take years, anyway concerning Boko Haram it comes too late, if not 7, at least 5 years. The time that Boko Haram could be stopped is long gone, Nigeria and Africa will have to live with it. To eventually get ahead of Boko Haram the (Intelligence) efforts should now be focussed on "managing the threat", preferable before it enters phase III of its Doctrine ! Boko Haram's current strategy is to keep Nigeria steadily stressed at the brink, patiently provoking every other Nigerian group in the south to guarantee fierce retaliation for any terror attack on their soil. Therefore the question is no longer if but when Boko Haram decides to simply trigger violent opposition or retaliation to push Nigeria over the brink. As serious threat posed to Africa’s most populous country and wealthiest economy the Boko Haram movement has emerged as biggest issue for Africa since "The Colonial Divide"